Home>Gold and Silver>Silver Headed to $5/oz.! Silver has declined from nearly $50/oz. two years ago to under $20/oz. today. Clearly, the bull market in silver and gold is over, and silver is headed back to five dollars per ounce, and for good reasons. Obviously, Obama's wise economic policies are finally beginning to cause the economy to bloom, with balanced budgets on the horizon that the government has just not yet told us about, but the silver market must be telegraphing this move. Clearly, Obama, as a former Constitutional Scholar and Teacher, is protecting the civil rights of all Americans, what with ending the drone program, ending the build up of billions of rounds of ammo by Homeland Security, stopping the snooping of people's emails and phone calls by NSA, terminating bad IRS practices, and therefore, investment into the USA and the dollar is looking attractive again to people all around the world. Clearly, Obama has lived up to his promise to have the most transparent administration in history, with a diligence to rooting out corruption and incompetence where ever it may appear in government, whether in the IRS, Homeland Security, the Justice Department, the TSA, the NSA, the military, or the CIA. Clearly, Obama has already produced his real birth certificate. Clearly, Obama has done nothing wrong in Benghazi, and that the Tea Party people are the real terrorists. Sarcasm. Humor. None of the above is true. I was just trying to catch your attention. Or make whatever kind of arguments insane people might make to explain the "sanity" of the low silver price. Therefore, there is no explanation for the drop in silver and gold prices, other than the standard "manipulation" by the banks who trade in futures contracts. The reality is that the government is spending well over a trillion more dollars each year that does not exist, over 500 times more than the annual dollar investment into the silver market. $1000 billion vs. $2 billion. The reality is that the recipients of this money are not buying silver, and the holders of dollars do not see the reality of government spending, and are not taking prudent steps to protect themselves from inflation by buying real silver. Well, some are buying real silver, but in relatively miniscule amounts. When a decent amount of money goes into silver, as it must, the silver price will head to $500/oz. just for starters! The truth is that before this bull market in silver and gold is over, the metal price manipulators will ruin and lose their price fixing mechanisms, and thus, there really is no real way to stop this bull market in silver and gold. Because they have manipulated interest rates for too low for too long, and because they can't stand to bankrupt most of American business with higher interest rates, they cannot let rates rise to 20% to compete with the gains in the silver and gold markets, to stop the bull market in gold and silver. And what would happen if they did? The bond market is huge, in the $20-50 trillion range. If interest rates rise, bond values go down. In a collapsing bond market, bond investors will move to protect their trillions, and head to silver and gold. They cannot let that happen. Tens of Trillions cannot chase a market of billions, without the prices of the metals sky-rocketing! This helps to explain the sudden default of many bonds in the crash of 2008, and corresponding crash of the metals prices. They cannot let markets naturally purge themselves, as the markets are too grotesquely out of balance, and of mismatched size. But they can't keep interest rates low forever, either, because the real rates are now negative, with interest rates well below the real inflation rate. They are paying people to borrow money. That is uneconomic, and unsustainable. When the bond market tanks, as interest rates must rise, the bond market will be thoroughly discredited before this market is done. If they let interest rates rise slowly, this process may take another ten to twenty years to let interest rates rise to compete with the gains in silver and gold! Imagine if interest rates went over 20% like the last time they let them rise, to contain gold prices in 1980. Let's see, $17 trillion debt, financed at 20%, would probably be about $20 trillion at 20%, which would be $4 trillion per year, in debt payments alone! See, that kind of money printing to pay bond holders would be highly inflationary! That would drive silver prices perhaps well beyond $1000 to $2000/per ounce! So, in truth, the bull market in gold and silver is nowhere near over. In truth, metals prices have declined about 30 to 60% about 8 times in the last ten years of this bull market. They create volatility as a part of their manipulation. They want to create the perception that silver is "unstable", rather than the truth, that paper is unstable as a long term store of value. Now is the time to sell real estate, sell bonds, sell paper money, and buy rare silver. Buy on the dip. While you still can. I expect silver to head past $75 to $125/oz. in the next year or two as this bull market continues. By then, most things will be the same, the government will continue to print $1-2 trillion per year or more. And silver will still be a misunderstood, stealth bull market, as it has been so far in the last ten years. And remember, if you hear that they put a black bag over my head and took me to Guantanamo, then it will really be time to buy silver! Unfortunately, by then, it might be too late for you, too! 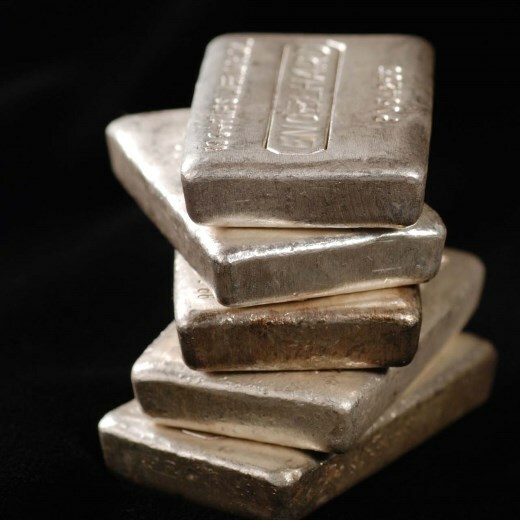 Jason Hommel of silverstockreport.com has written over 100 articles on why people should buy gold, and especially silver bullion and silver stocks. His free silver stock report covers more companies than any other. Jason received a B.A. in Psychology from the University of Colorado at Boulder. An adept biblical scholar, he has also written 100's of articles on theology. Aged 34, he lives in Penn Valley, CA. In response to requests for stock tips, Jason, while not giving out investment advice, offers a "look at his portfolio", which shows his top investments by rank, updated monthly.